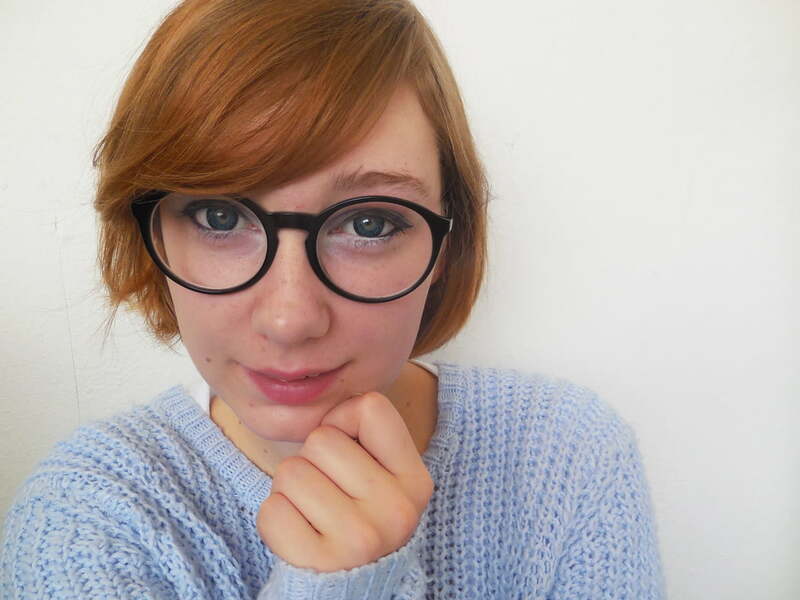 These bright blue lenses look realistic against brown eyes. 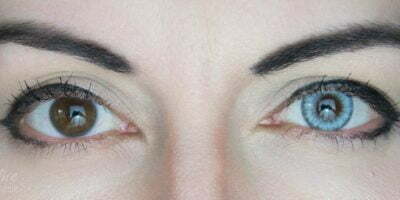 They make your eyes pop & help creating an illusion of bigger iris. 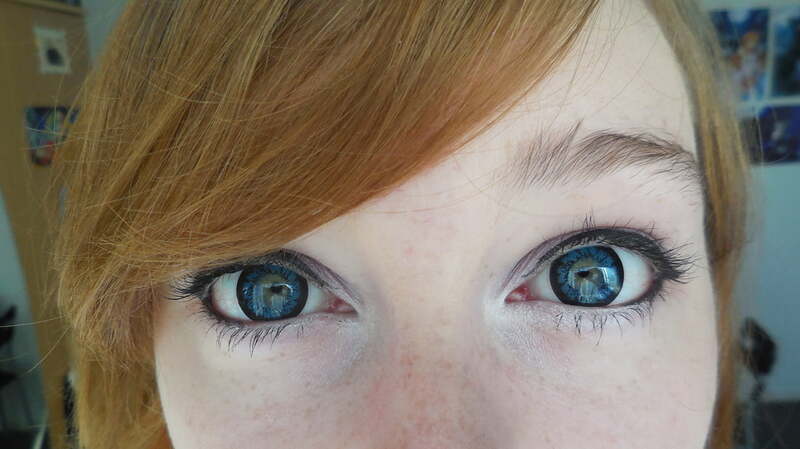 Barbie Angel blue with a solid limbal ring adds a touch of innocence & youth. 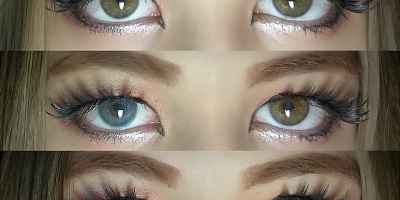 They may be darker than what you expect so get these lenses only if you want a muted color change effect. Read detailed review of Barbie Angel blue here for first hand information & real life honest pictures.